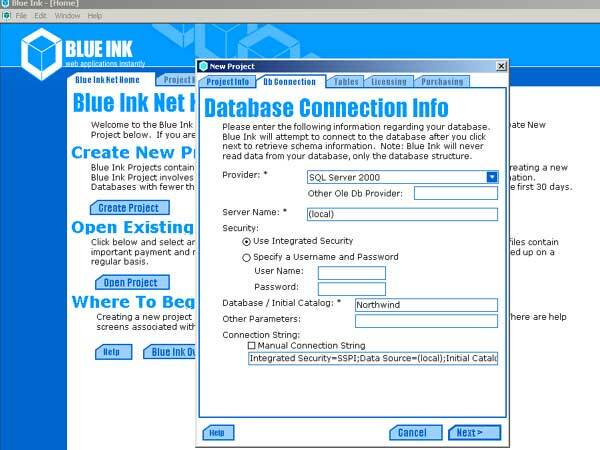 The first step to using Blue Ink is to create a Blue Ink project which contains a database schema, a set of Blue Ink templates, and meta-data about your project. The screenshot shows entering database connection information. The Blue Ink Overview page describes templates, meta-data, and schema in more detail.